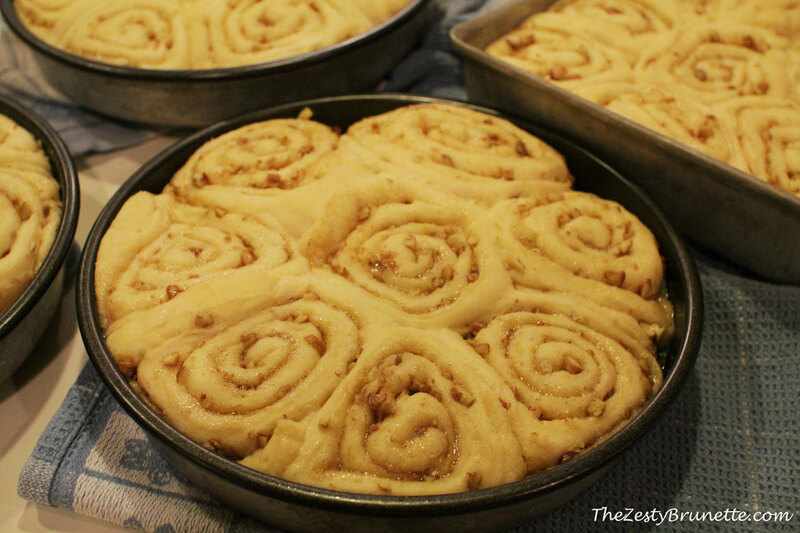 Homemade pecan rolls (made by yours truly!) and German potato sausage = breakfast heaven. 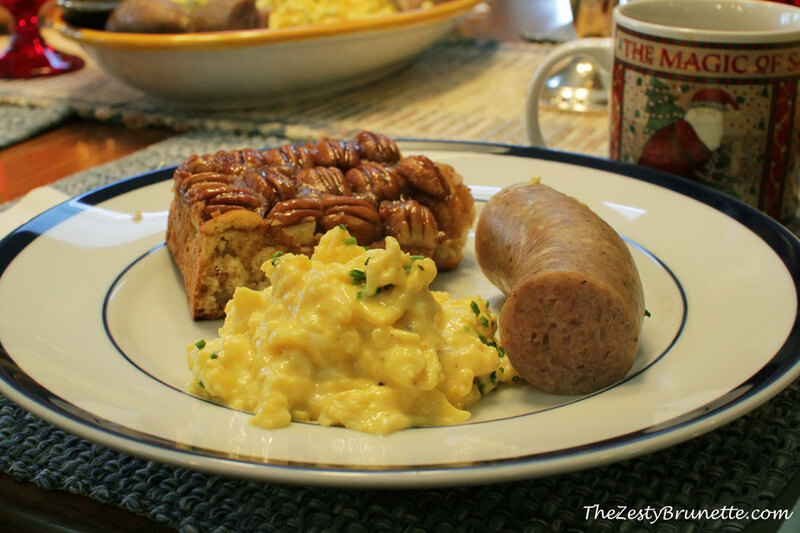 I crave Christmas Day breakfast all year long because of these two dishes. My Grandma normally makes the pecan rolls, but this year I helped her out and made them for everyone. 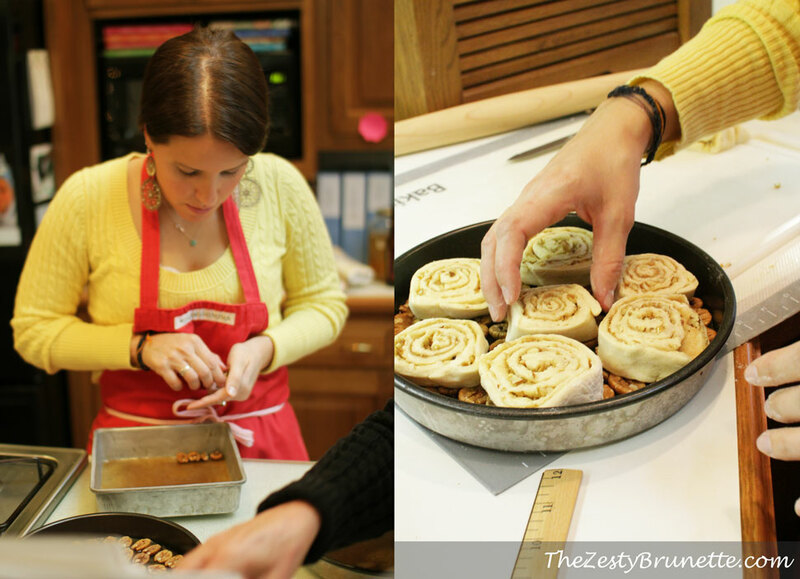 A couple of Christmas’s ago my Grandma taught me how to bake pecan rolls, so making them this year wasn’t too difficult aside from the fact it takes a lot of time as the dough has to rise twice! Here are the roll’s after their second rising. Don’t they look good? There’s pecans, brown sugar, and butter rolled in the dough. Here they are baked! 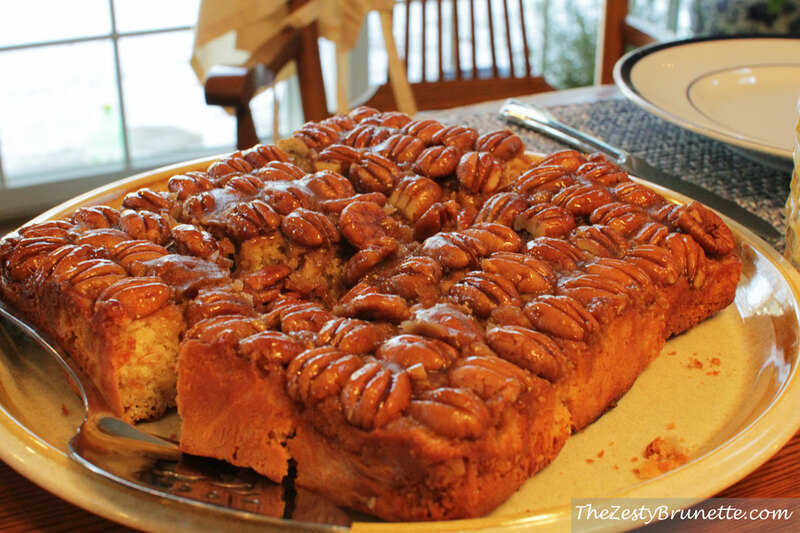 There’s a sauce of brown sugar and butter on the top that melts all over the pecan rolls and makes them taste oh so good! 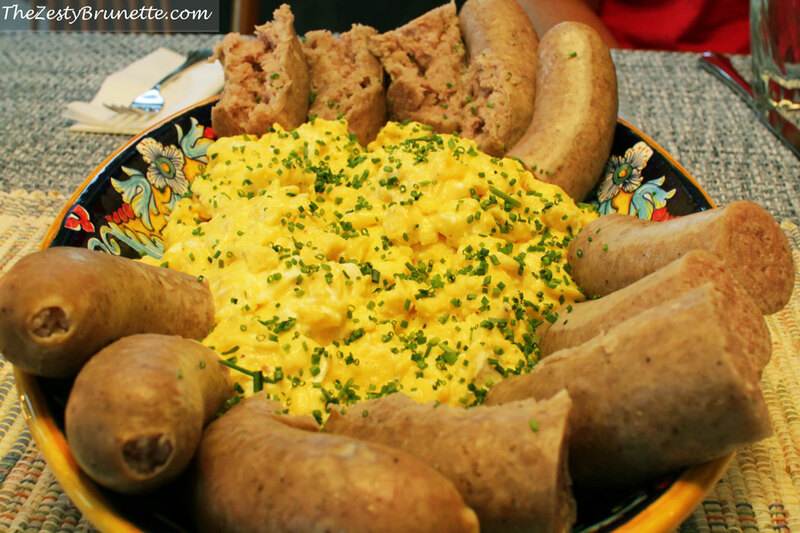 We also had German potato sausage and scrambled eggs with cream cheese. I love potato sausage and we can only get it at Christmas time. I’m not sure exactly what’s in the recipe (aside from the obvious) but there’s a mild pork flavor with a little spice that makes the sausage really delicious. We also had scrambled eggs with cream cheese and chives on top. Even when it’s not Christmas day I love to add a little non-fat or reduced fat cream cheese to my eggs. I like the creamy texture it adds to the eggs. When you put all of these three dishes on my plate, I know it’s Christmas morning and I’m one happy and satisfied girl.